3X3x3 Meter Canopy Tents with Customization through 4 color CMYK Printing. 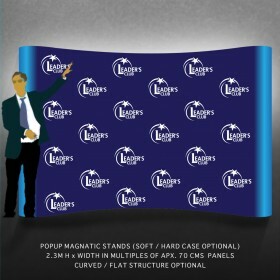 Top Tent branding with Four metallic poles included in the default product. Bottom 3 sides banner is optional. Make your brand visible from Far and sit in shelter let people come to you and you can exhibit your product and services to them. Good place for small business and small business meeting in crowd.